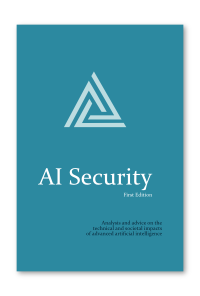 AI Security (2015-16) is a book on the technical and societal impacts of advanced artificial intelligence. Written by a strong AI researcher, it uniquely addresses the safety and security questions by utilizing fundamentals from cybersecurity and computer science. The result is a rigorous and candid response to the major questions surrounding the future impacts of artificial intelligence on humanity.